My son played me the song I wrote two decades ago when we were driving to his soccer practice. He said, Everyone I know loves this band’s song, it’s number one right now. You might like it, he said. He put the music on in the car and I listened to the words I wrote in a notebook in my parent’s basement, the chords I strummed and scribbled down hurriedly, caught in the throes of inspiration, hurting from heartache and writing and singing poorly to get it all out. He watched my face while I listened to the song and he asked me what was wrong – I must not have hid the emotion on my face as well as I thought I did, and I pulled over. You’re red, Dad. Your face is red. And as soon as the anger took hold – at that very moment – it left. I listened to the guitar solo that my father had actually helped me with, and then the post-chorus breakdown and the fade out and my son looked at me like he had never seen me before. I like the song, I said. It’s got a nice beat to it. My son rolled his eyes, I always say that. I said, I feel like I’ve heard it before. My son looked at me with real concern in his eyes. It’s a new song, Dad. I did not really feel like I was stealing your song when I started to record it with the new producer who had been assigned to my album. The first six songs were mine, but no one liked those, even I thought they were crap – too standard, too easy, too much like I had just listened to pop records and wanted to make a pop record. And then the man – the superproducer, as some call him – said, I heard you play a song not too long ago in a coffee shop, was that yours? And my first crime was saying, absolutely yes. I didn’t know exactly the one he was talking about at the time, for those couple of seconds, until he sort of hummed the chorus back to me and I realized that it was your song that I was covering that night, and I was covering it because I missed her. You know I miss her. And that song was about missing her and it was better than the way I said I missed her, which was sleeping with Debbie Rollins and telling everyone about how she was the best I’ve ever had. We wrote together sometimes and I started to concoct in my head that we had written that song together. I know we didn’t, but it was easy to pretend that we did – we wrote other songs together, I just started melding the memories together until it was that one time, the one time I came to you with a song, the one that you didn’t like that ended up breaking up the band, you remember. You left and married her and got a job and I didn’t. Not a real job, anyway. So when I stole the song and recorded it and sang it from the heart – better than you, you have to admit that – I felt justified. You got the girl, I got a three minute pop song. I bought tickets for the whole family to see him perform the song. I presented the tickets to Claire as a present, like – aren’t I cool, aren’t I a cool Dad and husband, I’m taking everyone to a rock concert. The kids were excited and asked if they could bring someone, and I said sure. They brought friends. The six of us went to the show and sat down and at first I had vague ideas of jumping onstage with him – I can afford tickets that bring me close enough to jump onstage, if I can pass the bouncers and everything. But then he came onstage and I saw how he looked. Old – he and I are the same age, growing up together, in the same classes, scraping by at the bottom of the barrel back then because we were too cool to achieve. But he looked old. The life I almost had. 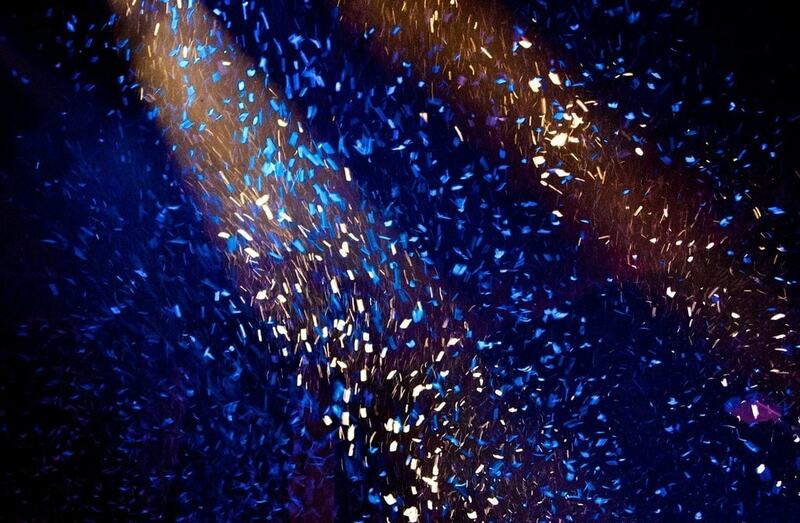 The tour has the best lights yet – a number one single does that, you get to buy that effect where it looks like you are jumping through a rain of sparks, and there’s confetti cannons at the end of every song. When I finally play the single, the crowd goes absolutely bonkers. Before the single, I used to pretend that when I looked out, I could see her – the girl you won and I lost. And one night, my heart jumped into my throat because it almost looked like she was there, with someone who looked like you, and I blinked and forgot a couple lines, but the band is professional, they made it look planned. I looked out for you and realized that it was just my mind playing tricks, conjuring you up to make me feel guilty. I don’t feel guilty. You won once, I get one win. That’s how it works, right? Everyone gets a win? It felt weird to be there, so we left our seats. Claire said it was too loud. It was funny, to her, that we went and saw him, the guy I used to be best friends with back when we first started dating. Didn’t he introduce us? Claire asked in the lobby. It’s hard to remember all that. I bought her a glass of white wine that was overpriced and bought myself a beer. I don’t know. I can’t remember myself, I answered. I could hear the loudspeakers, muffled by the doors and all the bodies dancing and slamming into one another. I could hear him play my song and I smiled. At least everyone gets to hear it. Posted on Sunday November 28th, 2010 Wednesday March 26th, 2014 by Max Elman. This entry was posted in Photos & Stories and tagged confetti, love, music. Bookmark the permalink.